Hoop Dreams by filmmakers Steve James, Frederick Marx and Peter Gilbert, earned #2 on Rolling Stone's '100 Greatest Movies of the Nineties' list. Eric Hynes called the film "A full-on, time-tested American masterpiece." "The movie that smuggled long-form observational documentary into multiplexes, gave birth to a generation of filmmakers and made mass audiences reckon with the challenges of being young, poor and black in America – the one that Roger Ebert called "the great American documentary." Shot over six years and presented over three breathless hours, this Oscar-nominated epic from filmmakers Steve James, Frederick Marx and Peter Gilbert follows teenagers William Gates and Arthur Agee, wildly talented basketball players from Chicago's south side, as the young men go from playground to gymnasium, from courtside dramas to myriad struggles at home. Even a quarter of a century later, with its protagonists having drifted into middle age, Hoop Dreams still plays like a buzzer beater. And that's because it tells a story still largely unheard in popular art, one that comes alive through a gathering of complex, intimate details, and takes the time to trace the twists and turns, thrills and indignities that only real life can offer. It's a full-on, time-tested American masterpiece." – Eric Hynes. Rolling Stone has consistently lauded the film, ranking Hoop Dreams as #1 on their 30 Best Sports Movies of All Time list in 2015. The latest film by director Steve James, Abacus: Small Enough to Jail is now playing in theaters nationwide. 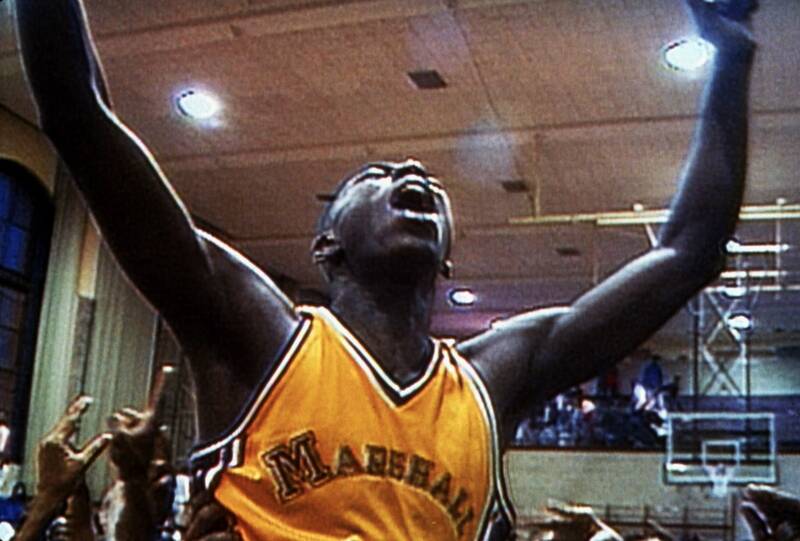 "HOOP DREAMS is the seminal documentary achievement of the ’90s. Steve James’ profile of African-American teenagers William Gates and Arthur Agee and their dream of making it to the NBA effortlessly achieves the impossible, moving from intimate character study into a sprawling look at the American dream. James manages to touch on issues of social class, education and economic disparity, but the essence of HOOP DREAMS is how the director refuses to turn his grander thematic points about life in America into didactic declarations. James and his crew followed Gates and Arthur for five years, and the larger issues at the core of HOOP DREAMS are so powerful because they’re at the core of its subjects’ journey. As you watch the two athletes chase their dreams and the world work against them because of who they are and where they come from, James crafts a nonfiction feature with a dramatic weight heavier and more unforgettable than most drama films in the 20th or 21st century."